It’s hard to improve on plain ice cream, but wrapping it in soft, spongy mochi does the trick. The marshmallow-like Japanese rice paste has popped up in a few popular forms stateside in boba tea shops, Pinkberry locations and even the Trader Joe’s frozen desserts section. Now Whole Foods is giving mochi fans and newcomers alike a bevy of new options with the addition of mochi bars—self-serve cases filled with multiple flavors of the ice cream-filled treat. The organic grocery chain posted a photo on Instagram of the new “mochi bunker” in its Wheaton, Illinois store near Chicago and there also appears to be a mochi bar in a Fremont, California location. From other users’ social media posts, the price looks to be $2 per mochi or $20 per dozen. Super excited for our #Wheaton store that relocated today in #Chicago! The new store almost doubled in size and features a wood fire pizza oven, a coffee & #beer bar with 24 beers on tap and a beautiful self-serve #MOCHI bunker! Check out more photos @wholefoodschi. #dessert #sweettooth #sweets What's your fave mochi flavor? 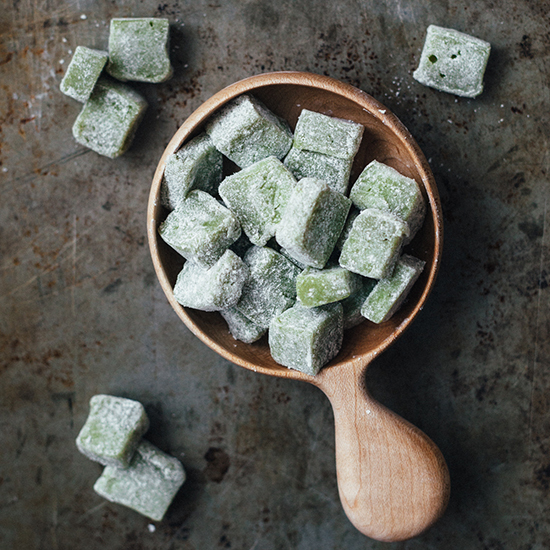 The list specifically mentions mochi and its many flavor variations making a transition from restaurants to customers’ kitchens, along with other Japanese staples such as ponzu, nori and azuki beans. The traditional mochi-making process is fascinating to watch, as it involves incredibly quick hands and very large hammers. If your local Whole Foods hasn't been blessed with a mochi bar, you can always make your own using our simplified method.